What did you study at NYU and how did your studies influence the work that you are doing now? I studied International Relations at NYU CAS, and my studies introduced me to worlds of international development, foreign policy, and strategic decision-making by governments on provision of basic human rights like healthcare. I became quickly fascinated by these topics we discussed in class, and how often I saw these concepts in action during my various semesters and summers abroad, working on international development projects. Eventually, my passion for being a global citizen, combined with my CAS education, led me to work in the global health sector, and inspired me to start my website and write this book, Everyday Ambassador. Can you tell us about Everyday Ambassador and how you came up with the concept? Everyday Ambassador is a network of organizations and individuals who prioritize relationship-building in their service work and global travels. As I was traveling and engaging in a variety of health-focused service projects throughout and after college, I often saw that good intentions would go to waste when people designed interventions "for" others rather than "with" them. In our digital world it's easier than ever before to learn about issues, be inspired, and even connect with and visit communities far away, yet when it comes to problem-solving and sustainable development solutions, it takes much deeper conversations and relationship building in order to foster meaningful social change. I wanted to create a platform that would showcase people who had this healthy, holistic, long-term approach to social change, rooted in building strong relationships over time, and not just fleeting innovations or reactive emotions. 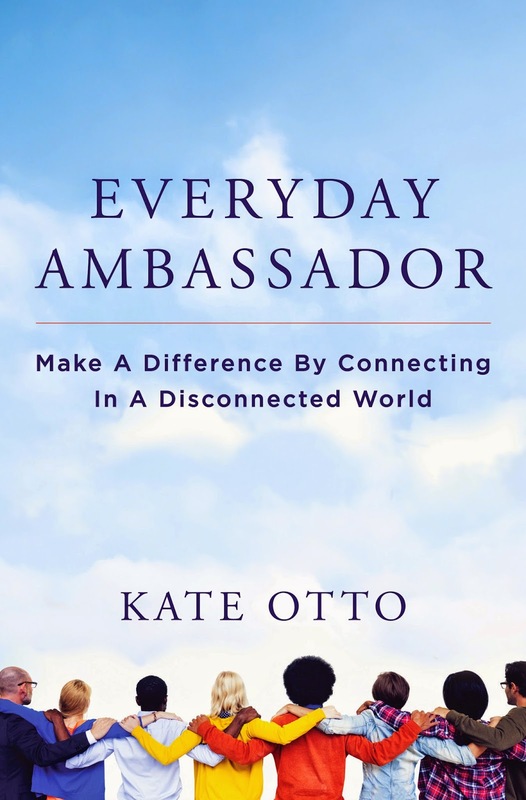 Your book, Everyday Ambassador: Make a Difference by Connecting in a Disconnected World will be released in 2015. What will the book cover and is there a central idea that you hope readers will think about while reading the book? As you read EA, I hope that you think about this key idea: in a world more digitally connected than ever before, we oftentimes become less humanly connected to one another. We become device and social network obsessed, to the point of ostracizing ourselves from the immediate world around us. It is up to you and me to decide how to meaningfully use technology in our lives, so that we grow closer to people who are far away and not end up farther from people already close to us. Also, when we apply tech tools in productive ways, we can end up being part of truly revolutionary social change. What advice would you give to someone who is looking to reduce their technology dependance and focus on more human connections? My key advice is a simple exercise you can try, even today. The challenge is: try giving your undivided attention to every person you encounter in a single day. It sounds simple, but once you begin committing yourself to individual interactions, you realize how often we tend to multitask even with other people (texting while talking, emailing while in class or meeting, ordering coffee while on the phone with someone). Whether your interaction is in-person, on a call, or on a text, I would challenge you to really just do one interaction at one time, no multi-tasking, and see how it enhances your feeling of connectivity to others. How do you measure the impact of the work your team is doing? The goals of Everyday Ambassador have shifted over the past two years we have existed. We originally set out to simply blog about the EA ethos of human connectivity, and began building an audience. We then set goals to establish Partnerships with organizations who exuded EA values in their work, and feature individuals as writers on our site who worked with these organizations, and by the end of this year we'll have about a dozen officially on board. As we look to the year ahead with the publication of the book, our goal will be to engage readers more in offline spaces, by hosting workshops with classrooms, organizations, and businesses who are interested in being 21st century global citizens and employing the EA values in their projects and activities. How do you use social media to spread your mission and vision and have you found it to be effective? Although one of our biggest talking points is the value of digitally detoxing now and then, we also emphasize the beauty of social media connectivity, for learning, growing, and connecting. We have made so many new friends, and identified wonderful Partners and feature stories, through social media channels. And we rely on social media to share our various daily blog series. You can reach us on Twitter at @everydayAMB, on Facebook (https://www.facebook.com/everydayambassador), and on Instagram (@everydayambassador)! How can alumni get involved and become a part of the Everyday Ambassador team? I have no doubt that many NYU CAS Alumni are leading organizations, businesses, and initiatives that convey the values of EA--empathy, patience, humility, and focus. I would love to hear from alumni who would like their work featured on EA or would like to write for EA about their experiences in service, travel, and social change, as it relates to forming strong human connections. Please be in touch! 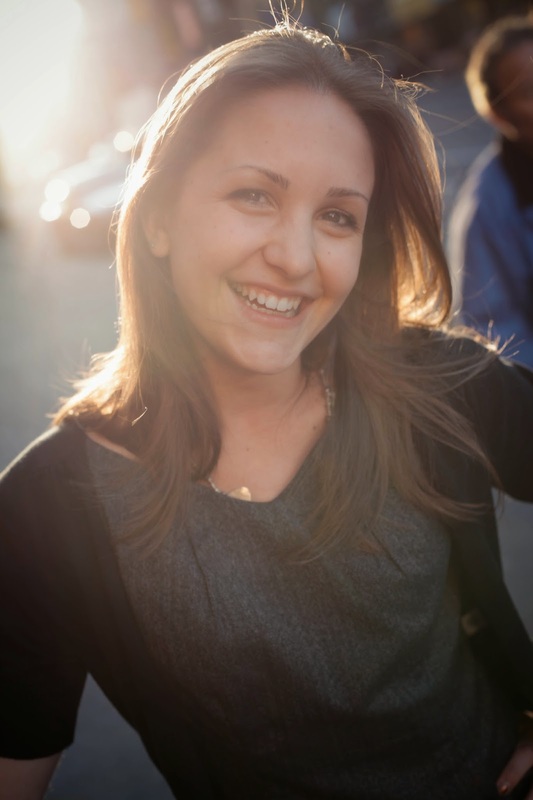 [kate@everydayambassador.org] I would also love to engage Alumni in coordinating events or training workshops with our EA team; we work with groups, classrooms, and organizations to customize our general EA curriculum to their specific needs, and we're always happy to bring on new Partners.